We do love a good exercise for the brains here at KiddyCharts and you certainly can get a decent workout with a Rubik’s SPARK. This interesting mind game will entertain both kids and parents. 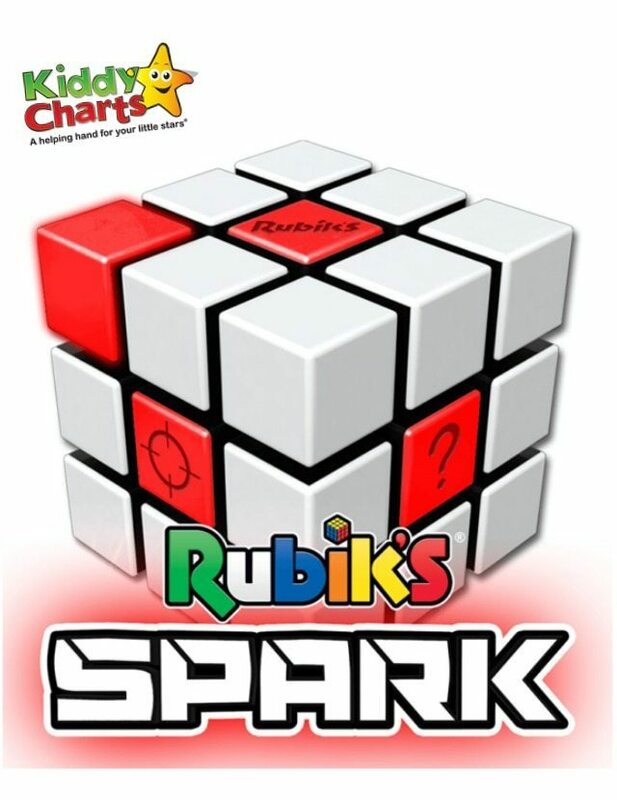 Rubik’s advocates, games fanatics, puzzle and brainteaser addicts will all love the new Rubik’s Spark (SSP £19.99)! Experience Rubik’s like never before with the amazing new electronic cube, featuring six challenging games for both individual and social play! The Rubik’s Spark features unique bubble control, a brand new dimension of games control! No buttons, no touch screen, simply control the spark by tilting and turning the cube and enjoy an interactive experience guided by LED lights. The spark even contains special sensors so it knows when and where the lights are going as you move the cube! Full information on the product is available at John Adams. To enter the competition for your chance to win a Rubik’s Spark, all you need to do is to follow the instructions within the widget bellow. Do fill it out so you don’t miss out on your chance to win this amazing brain game. This giveaway closes on Thursday 13th October at 11.59pm. The usual terms and conditions for giveaways on this site apply as well, so please do take a look at them to make sure you understand them. This is a UK only competition too. Good luck to all participants. We do run quite a few giveaways on the site at most times, so be sure to sign up to receive our newsletter so you will never miss out on the new ones as we publish them all on our website.